To what extent is a charging order not the exclusive remedy in Texas, following the decision of the Court of Appeals of Texas in Devoll v. Demonbreun, 2016 WL 4538805 (Tex.App., August 31, 2016)? In Devoll, supra, Appellant, Gene DeVoll (“Appellant” or “Gene”), appealed the trial court’s order granting a temporary injunction against him in favor of Appellees, Rebecca Demonbreun and William Dowds (“Appellees”). Under the terms of the temporary injunction, Gene could not transfer or encumber certain partnership property pending resolution of Appellees’ suit. Appellees sued Gene, claiming that he helped his brother, Norris DeVoll (“Norris”), Appellees’ judgment debtor, fraudulently transfer a partnership interest to Gene, in order to shield it from Appellees’ charging order. 2016 WL 4538805, at *1. Appellees previously had obtained a judgment against Norris for damages they suffered from purchasing a house from Norris. The trial court judgment was approximately $114,721.00 in damages, plus $9,319.12 in prejudgment interest. Norris’s community property included his undivided one-half interest in his wife’s (Paulette’s) interest in the 206 Camedia Partnership, which was a general partnership with two general partners: Gene, with an initial 50.1% interest, and Paulette, with an initial 49.9% interest. The partnership’s primary asset was real property located at 466 Adrian Drive, San Antonio, Bexar County, Texas, which was worth between $75,000 and $78,000. 2016 WL 4538805, at *1, *8. Acting as the senior general partner in the 206 Camedia Partnership, Gene cited a default provision in the partnership agreement and sent Paulette a “Notice of Default and Demand” to cure. He notified Paulette that if she had not cured the default within ten days, he would exercise what he asserted was his right under the partnership agreement to purchase her partnership interest for $5,000. Gene purchased her interest and paid her the first of five annual payments of $1,000. 2016 WL 4538805, at *1. In his later motion for leave to encumber the partnership property, Gene stated his intent to encumber the property with a real estate lien note and deed of trust for a loan of approximately $96,000, “to pay all [the partnership’s] current obligations.” Gene asserted that the taxes on the 466 Adrian Drive property were in arrears and the partnership did not have “readily available funds necessary to pay the delinquent taxes” and other expenses without obtaining a loan. 2016 WL 4538805, at *8. The trial court signed a “turnover order” that included Norris’s undivided one-half interest in the income and receipts from the 206 Camedia Partnership (the “charging order”). The turnover order also ordered Norris and Paulette not to transfer or dispose of any of Norris’s community property described in the order. Norris and Paulette appealed the trial court’s turnover order; however, in a prior decision, the Court of Appeals of Texas affirmed the turnover order. See, DeVoll v. Demonbreun, 2012 WL 5873698 (Tex.App., Nov. 21, 2012). 2016 WL 4538805, at *1. Later, Appellees sued Gene for a fraudulent transfer. They contended the alleged partnership default was a ploy to alienate Paulette’s partnership interest and thus protect Norris’s undivided one-half interest in the partnership from Appellees’ charging order. After a hearing, the trial court granted a temporary injunction which restrained Gene from selling or encumbering the 206 Camedia Partnership’s principal asset, the real property located at 466 Adrian Drive. Gene appealed. Because the trial court’s temporary injunction did not comply with Texas law, in another prior decision, the Court of Appeals of Texas reversed the trial court’s order and dissolved the injunction. See, DeVoll v. Demonbreun, 2014 WL 1494609 (Tex.App., April 16, 2014). Immediately thereafter, Appellees sought another temporary injunction. After a hearing, the trial court issued a temporary injunction that ordered Gene not to “transfer, sell, encumber, or otherwise dispose of the property located at 466 Adrian [Drive].” Gene again appealed. 2016 WL 4538805, at *2. In Devoll, supra, the Court of Appeals of Texas extensively reviewed the elements of a temporary injunction, the elements of the Texas charging order statute, and the elements of the Texas Uniform Fraudulent Transfer Act (TUFTA). 2016 WL 4538805, at *3-*8. The Court then harmonized these statutes and adopted a construction that, in the Court’s view, implemented the intent of each statute and avoided an unnecessary conflict. The Court construed these statutes to allow a trial court to temporarily enjoin the sale, transfer, encumbrance, or dissipation of partnership assets underlying a partnership interest when that interest is the object of a charging order and the judgment creditor asserts a TUFTA claim involving the partnership interest or its underlying assets. The Court concluded that applicable principles of equity would require the trial court to impose only the minimum reasonable restraint on any partnership asset needed to protect the value of the partnership interest to the degree necessary to satisfy the unpaid portion of the judgment from the partnership interest distributions. In the Court’s view, this harmonized construction gives effect to the Texas Legislature’s intent for each statute by preventing a judgment debtor partner from defrauding a creditor by improperly placing assets beyond the creditor’s reach, and by retaining the statutory prohibition against a judgment creditor foreclosing on partnership property while minimizing any disruptions to a partnership’s business. Thus, the Court held that the charging order statute’s prohibition against a creditor exercising legal or equitable remedies against partnership property to satisfy a judgment does not prevent a court from granting an injunction, and that to obtain injunctive relief against partnership property in a TUFTA suit, the applicant must plead and prove all the required elements. The Court further held that, if the applicant meets his burden, before granting relief, the trial court must consider, at a minimum, the following factors: (1) the amount of the unpaid balance of the judgment; (2) the value of the partnership assets sought to be enjoined; and (3) the burden on the partnership’s operations and management any relief granted would impose. The Court further held that, exercising applicable principles of equity, the trial court may order relief to protect partnership assets from sale, transfer, encumbrance, etc., but must grant only the minimum reasonable restraint necessary to protect the partnership interest from being dissipated pending resolution of the TUFTA claim. 2016 WL 4538805, at *8-*9. In Devoll, supra, the Texas Court of Appeals then applied its above-stated holdings to conclude that the trial court did not abuse its discretion by ordering temporary equitable relief with respect to the specified partnership property. 2016 WL 4538805, at *9-*11. In its lengthy decision, the Texas Court of Appeals unnecessarily muddled the following two disparate issues: (1) protecting the partnership interest; and (2) protecting the assets underlying the partnership interest. All that was required to protect Norris’s community property interest in Paulette’s undivided one-half interest in the 206 Camedia Partnership, was to temporarily enjoin Gene’s purchase of Paulette’s partnership interest in the 206 Camedia Partnership, pending the resolution of Appellees’ TUFTA claim. Despite all of its rhetoric about imposing only the minimal reasonable restraint necessary to protect dissipation of a partnership interest during the pendency of a TUFTA suit, the Texas Court of Appeals unnecessarily meddled with the underlying partnership assets. It was totally unclear from the Court’s decision precisely how Gene’s stated intent, to encumber the property with a real estate lien note and deed of trust for a loan of approximately $96,000, “to pay all [the partnership’s] current obligations,” in any way threatened Paulette’s interest in the 206 Camedia Partnership. “I agree with the majority that principles of equity allow a trial court to impose the minimal reasonable restraint necessary to protect dissipation of a partnership interest during the pendency of a TUFTA suit. However, because the Charging Order Statute expressly precludes a creditor of a partner or of any other owner of a partnership interest from exercising legal or equitable remedies with respect to the property of the partnership, I do not believe a trial court may enjoin—even temporarily—the sale, transfer, encumbrance, or dissipation of any partnership assets underlying a partnership interest. Instead, consistent with the provisions of the Charging Order Statute, I believe a trial court may enjoin a partner against the sale, transfer, encumbrance, or dissipation of the partner’s partnership interest during the pendency of a TUFTA suit.” 2016 WL 4538805, at *17 (emphasis added). Chief Judge Marion basically “got it right” in her dissenting opinion in Devoll. 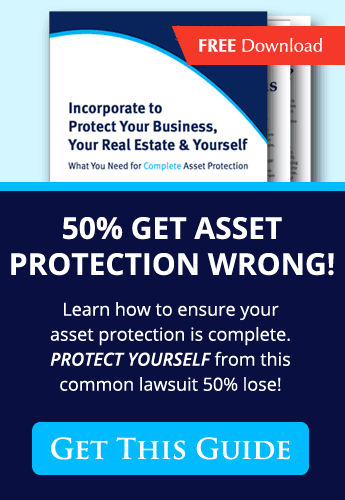 There is a crucial difference between protecting the partnership interest and in protecting the assets underlying the partnership interest. 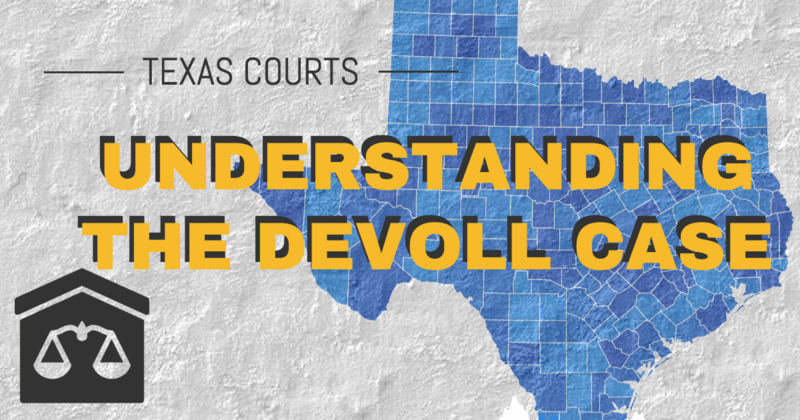 The majority opinion in Devoll now permits trial courts in Texas to exercise legal and equitable remedies against the assets underlying a partnership interest, supposedly in order to protect the partnership interest, when there is a pending TUFTA claim. This is just plain wrong. Furthermore, it is incredibly easy for a judgment creditor to allege a TUFTA claim in these situations. As Chief Justice Marion correctly pointed out, this is precisely what the Texas Charging Order Statute was intended to prevent. It looks as if it may be time either for the Texas Supreme Court or for the Texas Legislature to Act.